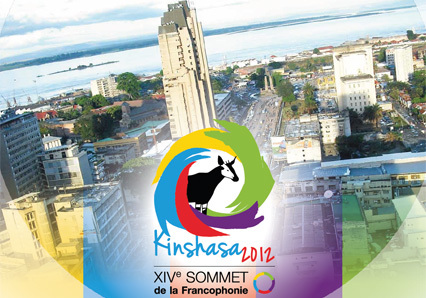 Heads of State and Government called upon the Security Council of the United Nations to adopt targeted sanctions against all those responsible for abuses in eastern DRC during the 14th Francophonie summit in Kinshasa. Rwanda has expressed reservations concerning this application of the sanctions; they have been accused of backing rebels there a charge brought by UN investigators. Kigali denies the charges, and Rwandan President Paul Kagame has stayed away from the summit. Heads of State and Government of the French-speaking countries say leaders of the rebellion of March 23 Movement (M23) and all other armed groups responsible for violations of human rights and humanitarian right in eastern DRC including sexual violence, forceful recruitment and killings by these movements to lay down their arms and immediately cease these violations and all forms of violence. In their resolution, the Heads of State and Government also declared their support for the sovereignty, territorial integrity and political independence of the DRC and all states in the region. Kabila during the summit spoke about an unjust war imposed by outsiders in the east of the country. According to him while the people are making no effort to improve their lives, for several months negative forces belonging to outside interests have labor to destabilize their country in North Kivu province, on the eastern border with Rwanda, Kabila. Meanwhile Hollande had condemned the external attacks in eastern DR Congo, where Congolese troops are fighting several armed force in the mineral-rich region. He called for renewing and if necessary reinforcing the UN mission to the country (Monusco). He revealed that Francophonie is not all about the French language. According to him Speaking French also means speaking about human rights, because the rights of man were written in French, a reference to the Universal Declaration of Human Rights drafted by French revolutionaries. Heads of State and Government of the Francophonie also supported the actions that lead countries in the Great Lakes region through successive meetings. The International Conference in the Great Lakes region helps to find a solution to the security situation in the region. Heads of State of the Great Lakes have resolved to deploy a neutral international force along the border between Rwanda and the DRC to fight against the armed groups. This force must be deployed under the mandate of the UN and the African Union. • South Africa: 40 years sentence, the heavy price for a rhinoceros’ horn trader! • South Africa: an eye on Jacob Zuma!